A black and white portrait of Kayla Besse. She is on Santa Monica beach, looking straight at the camera with a close-mouthed smile. She has long brunette hair and is wearing a black sleeveless top. Kayla Besse is the Knowledge Mobilization Coordinator at the Re•Vision Centre. Kayla holds an MA in English literature from the University of Guelph. She has a particular expertise in literary and (pop-)cultural representations of disability, and her writing privileges the work of disabled people in order to reconsider reclamations of power through life writing, feminist theory, and advocacy. 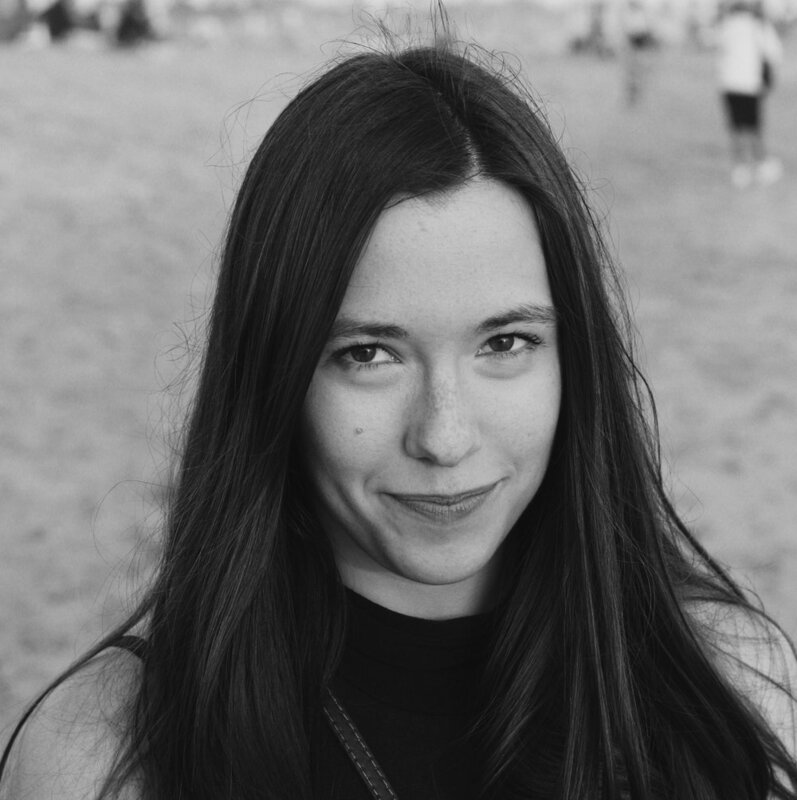 She is currently a research assistant on the Bodies in Translation project, seeking to understand the implementation of relaxed performance in Canadian theatre spaces. Kayla is also a photographer with training in digital accessibility. She is interested in the ways that social communities for minoritized groups are formed in online spaces.